it has a kitchen area with a dual burner and a gas bottle supplied. a clean up sink and tap, lots of storage room and the best high roof van. 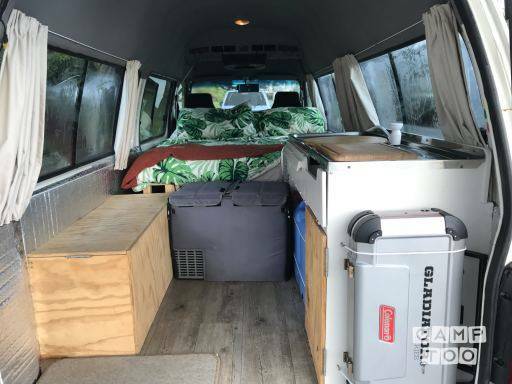 Treat this camper well, its clean and tidy. You can pick up the camper in Tweed Heads at Aviv's place.